An efficient protocol is outlined for rapid and mass micropropagation of Ficus carica L. (fig). Shoot tips (5 mm) were obtained from mother plants stock grown on half strength Murashige and Skoog (½ MS) medium with the addition of 30 g/L sucrose. For shoot multiplication Benzyl amino purine (BAP) and kinetin produced differences number of new shoot per plant and shoot height. BAP at 0.4 mg/L in combination with 0.2 mg/L indole-3-butyric-acid (IBA) produce maximum in vitro propagation rate, with 4.2 shoots per ex-plant. Root initiation was experimented on MS medium containing different concentrations of mg/L, IBA, IAA (Indole-3-acetic-acid) (IAA) or Naphthalene acetic acid (NAA). Highest number of root (4.3) was resulted when 1.5 mg/L IBA was used. After acclimatization in a mixture of (1 soil: 1 perlite: 1 peat) survival rate of 80% was achieved. For in vitro conservation of F. carica was experimented as microshoots were stored for 40 weeks on MS medium containing different sucrose concentration. Medium supplemented with 3% sucrose gave the highest regrowth (89%) at 24 ± 2 °C. Culture grew slowly when transferred to new fresh medium after the storage periods. Biotechnology Department. Faculty of Agricultural Technology. Al-Balqa' Applied University, Al-Salt 19117, Jordan. Department of Horticulture and Agronomy, Faculty of Agriculture. University of Jordan, Amman, Jordan. Arafeh RM., Shibli RA., Al-Mahmoud H and Shatnawi MA. (2006): Callusing, cell suspension culture and secondary metabolites production in Persian oregano (Origanum vulgare L.) and Arabian oregano (O. syriacum L.). 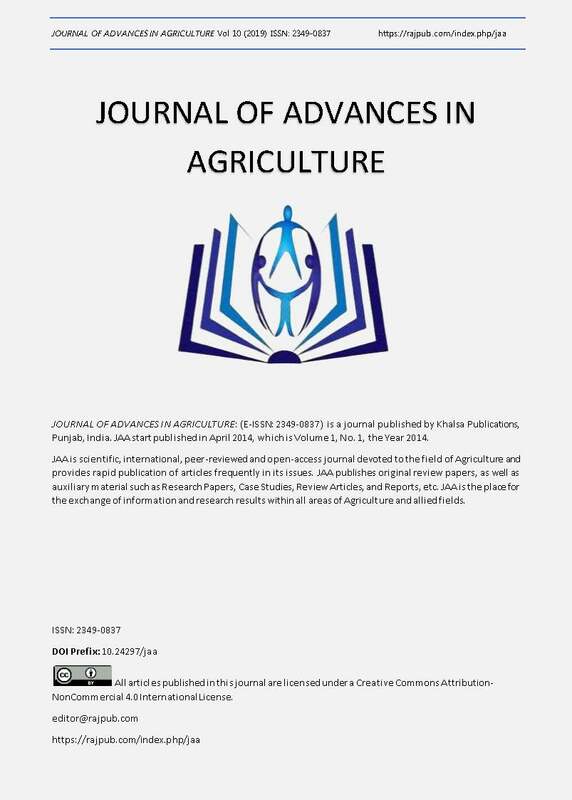 Jordan Journal of Agricultural Science. 2 (3): 274-282. Barbos W., Campo-dall OFA., Ojiva M, Martins FP., Bovi V., Castrro JL. (1992): Producao de mudas da figueira Roxo de valinhos atraves da cultura in vitro. Agronomico, 44: 6-18. Dimeralay A., Yaclin-mendi Y., Aka-Kacar Y., Cetiner S. (1998): In vitro propagation of Ficus carica L. var. Bura Siyahi througth meristem culture. Acta Horticulturae, 480: 165-67. Ebrahim N., Shibli RA., Makhadmeh I., Shatnawi MA., Abu-Ein A. (2007): In vitro propagation and in vivo acclimatization of three coffee cultivars (Coffea arabica L.) from Yemen. World Applied Sciences Journal. 2 (2): 142-150. Engelman F. (1997): In vitro conservation methods. In: Collow JA., Ford-Loyd BV., Nwebury HJ. eds. Biotechnology and plant genetic resource. Berlin. CAB International. pp. 119-161. Fragoas CB., Pasqual M., Dutra LF., Cazetta JO. (2004): Micropropagation of fig (Ficus carica L.) 'Roxo De Valinhos' plants. In Vitro Cellular Developmental Biology-Plant, 40: 471-474. Guarrera PM. (2005): Traditional phytotherapy in Central Italy (Marche, Abruzzo and Latium). Fitoterapia, 76: 1-25. Hazara S., Kulkarini A., Banerjee A., Dhag AB., Agrawal DC., Krishnamrthy V., Nalawde SM. (2002): A rapid and simple method for in vitro plant regeneration from split embryo axes of six cultivars of cotton. Biology Plantarum, 45:317–319. Kumar V., Radha A., Chitta S. C. (1998): In vitro plant regeneration of fig (Ficus carica L. cv. gular) using apical buds from mature trees. Plant Cell Reports, 17:717-720. Leifert C., Pryce S., Lumseden PJ., Waites WM. (1990): Effect of medium acidity on growth and rooting of different plant species grown in vitro. Plant Cell Tissue Organ Culture, 30: 171-179. Murashige T., Skoog F. (1962): A revised medium for rapid growth and bioassays with tobacco tissue cultures. Physiologia Plantarum, 15:473-497. Murithil M., Rangnan TS., Waite BH. (1982): In vitro propagation of fig through shoot tip culture. HortScience, 17: 86–87. Shatnawi MA., Johnson KA., Torppy F., (2004): In vitro propagation and cryostorage of Syzygium francisii (Myrtaceae) by encapsulation-dehydration method. In Vitro Cellular Developmental Biology-Plant, 40: 403-407. Shatnawi MA. (2007): In vitro propagation and cryopreservation of Prunus avium using vitrification and encapsulation dehydration methods. Journal of Food, Agriculture and Environment, 5: 204-208. Shatnawi M., Al-Fauri A., Megdadi H., Al-Shatnawi MK., Shibli RA., Abu-Romman S and Al-Ghzawi A. (2010): In vitro multiplication of Chrysanthemum morifolium Ramat and its responses to NaCl induced salinity. Jordan Journal of Biological Sciences. 3 (3): 101-110. Shatnawi M., Anfoka G., Shibli R., Al-Mazra'awi M., Shahrour W., Arebiat A. (2011b): Clonal propagation and cryogenic storage of virus free grapevine (Vitis vinifera L.) via meristem culture. Turkish Journal of Agricultural and Forestry, 35:173-184. Shibli RA., Shatnawi MA., Ajlouni MM., Jaradat A., Adham Y. (1999): Slow growth in vitro conservation of bitter almond (Amygdalus communis L.) Advances in Horticultural Science, 13: 133-134. Shibli RA., Shatnawi MA and Swaidat IQ. (2003): Growth, osmotic adjustment and nutrient acquisition of bitter almond under induced sodium chloride salinity in vitro. Communication in Soil Science and Plant Analysis. 34: 1969-1979. Shibli A., Shatnawi MA., Subaih W., Ajluni MM., (2006): In vitro conservation and cryopreservation of plant genetic resources: a review. World Journal of Agricultural Science, 2: 372-382. Solmon A., Golunowicz S., Yablowicz Z., Grossman S., Bergma M., Gottleib HE., Altman A., Kereme Z., Flaishman MA. (2006): Antioxidant activities and anthocyanin content of fresh fruits of common fig (Ficus carica L.). Journal of Agricultural and Food Chemistry, 54: 7717-7723. Subaih WS., Shatnawi MA and Shibli RA. (2007): Cryopreservation of Date palm (Phoenix dactylifera) embryogenic callus by encapsulation dehydration, vitrification and encapsulation vitrification. Jordan Journal of Agricultural Science. 3 (2): 156-171. Stassoft INC., (1995). Satistica for Windows [Computer Program Manual]. Tulsa, OK, USA. Yakushiji H., Mase N., Sato Y. (2003): Adventitious bud formation and plantlet regeneration from leaves of fig (Ficus carica L.). Journal of Horticultural Science Biotechnology, 78: 874-878. Zohary D., Spiegel-Roy P., (1975): Beginnings of fruit growing in the old world. Science, 187: 319–327.